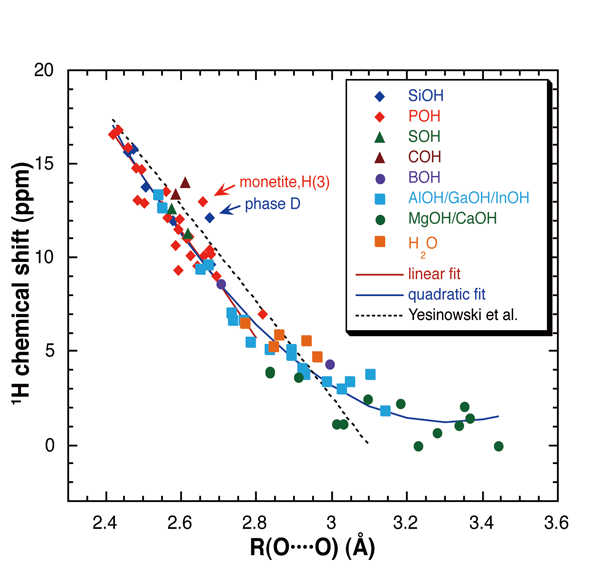 図1 Correlation between 1H chemical shift and O···O distance for O-H···O hydrogen bonds in (oxy)hydroxides, phosphates, silicates, sulfates, borates and carbonates. 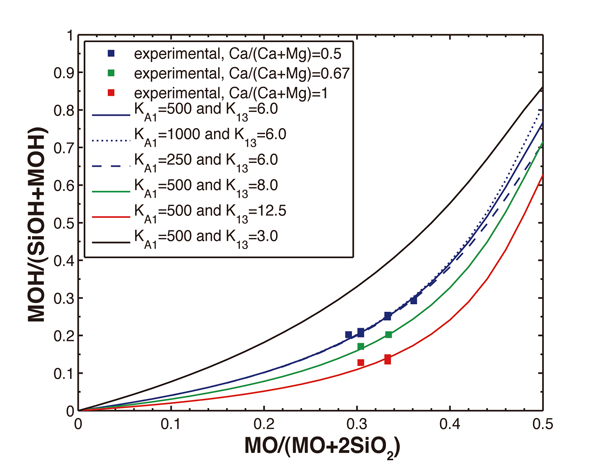 図2 MOH/(SiOH+MOH) abundance ratio as a function of bulk MO/(MO+2SiO2) (fraction of oxygen atoms from the MO component in the anhydrous composition) for a series of hydrous glasses in the CaO-MgO-SiO2 system with 1~2 wt% water, derived from 1H MAS NMR data. Also shown are a series of curves calculated from a quasi-chemical model. 図3 Cover page of the issue showing the crystal structure of superhydrous B described in this feature article.